"WWE has come to terms on the release of WWE Superstar ______ as of today ______. We wish ______ the best in all future endeavors." In the professional wrestling industry, there have been a select two words in the above message that have been synonymous with the end of dreams. The term is, "future endeavored" and it has been proven time and time again that WWE is the most classless Professional Wrestling organization, if it so can be called, due to their incessant, nonchalant attitude toward their alumni. I'll be one of the first to admit that, I as well, had sentiments of humor toward the "future endeavored" tag line. What WWE fan can truly vouch that they had never before made amusement out of one of the most renowned two words in the wrestling industry? Fans can not fully be blamed for hypocrisy and their incompetence because they will never realize nor comprehend what each and every man and woman to grace the WWE's landscape is going through at the time. However, viewing these aspects and feelings of others from a wider scope, you can not only feel bad for all of these talented, aspiring athletes, but it is clear as crystal as to how hypocritical and corrupt WWE is. THQ has released its annual depiction of WWE programming, except this year they have promised a "Bigger, Badder, and Better" gaming experience. Did THQ and WWE hit a home run here in their latest development of video gaming, or was it only a step backwards for the struggling franchise? The pure hype and excitement for this game, alone proves just how dedicated the producers at THQ are in terms of making the best wrestling game humanly possibly, but unfortunately, this title merely did not meet the through the roof expectations that this gamer had heading into GameStop. While, WWE '12 is not necessarily a bad game, it is one that really doesn't feel all that different as a whole in comparison to its predecessors. Welcome...Welcome...Welcome! Smooth Gentleman here for the third (Last? Maybe Not!) edition of my series on women's wrestling. During this edition I will share my thoughts on the future of women's wrestling. You can view (Part I) & (Part II) by clicking the preceding links. I have heard quite a few differing opinions from "wrestling" fans about women's wrestling in the United States. I use the term wrestling there loosely; as I feel wrestling is wrestling, no matter the gender of those in the ring. Yet, I have heard that women's wrestling, "Promotes violence against women," "Women have no place in wrestling," "They're just there for the boys entertainment," and a number of different opinions from other fans. I won't spend anytime going over such...ignorant assessments on wrestling. While everyone is entitled to their own opinion, it doesn't mean those opinions come from a well guided source. WWE's "Fall Classic" returns once again as it is the 25th anniversary of the Survivor Series. Being one of the most renowned and prestigious pay per views in WWE history, we have see the likes of Undertaker and Shawn Michaels, to name a few, who have made history at this event, respectively. However, as of the past several years, Survivor Series has truly been a mere shadow of what it had once been. Being one of the most disappointing events in recent years, WWE has formed the team of Rock and John Cena in order to provide a special attraction in the historic, Madison Square Garden. The show this year has been booked decently at best, and while it is a strong enough card on paper, there are many factors that will play a key role in making this show a success. I have once again gone down the list of matches that are advertised and given my predictions simply based on my insight of the product. Without further ado, this is my Survivor Series preview and I hope you enjoy and leave your comments of your predictions below! Also be sure to check out Walter Yeates' Women's of Wrestling Series as well as the newest exclusive interview with, Eddie Edwards. Exclusive Interview: Eddie Edwards Discusses Survival of the Fittest, Kings of Wrestling, CHIKARA, and More! When you take a gander at the third biggest promotion in the United States, Ring of Honor, one of the names that is first brought up is, "Die Hard," Eddie Edwards. Being the first Triple Crown winner in ROH history and a former World Champion, Edwards is a New England native who has been a staple in Ring of Honor for years. Also being half of one of the most renowned tag teams, the American Wolves, alongside current ROH Champion, Davey Richards, Edwards has done almost everything possible on the wrestling circuit at such a young age. Being an in ring specialist and one of the most renowned name in wrestling, I was able to catch up with Eddie before his bout at Survival of the Fittest tomorrow night! I thank Eddie very much for taking the time and I hope you enjoy reading! Rallo: First off, Eddie, I'd like to thank you for taking the time to do this interview. My first question has to be, you have recently been announced to take part in the upcoming ROH show, Survival of the Fittest 2011. There you will be joining the likes of Adam Cole, Rhett Titus, Kenny King, and Roderick Strong just to name a few on this very well known event for ROH. As a former winner of this tournament, can you give me your thoughts on this tournament and how you feel about taking part in it this year? You previously won it in 2010, which later propelled you to the World Championship. What are your thoughts on the tournament this year, and how it varies from previous years? Also, what did it feel like to win last year and how do you feel it impacted your career? in my three part series on women's wrestling. As announced within the first part of the series, I will be focusing on the Joshi scene in Japan throughout this entry. After writing my first editorial I had a very interesting "conversation" with a fellow wrestling fan that has a very unique view on women's wrestling. So, instead of jumping straight into my opinions on the Joshi scene I will provide some commentary on this conversation. Zack Ryder: Should He End Z! True Long Island Story? After observing the twitter conversation between fellow Enigmas Rize and Sid, it got me intrigued on a potential debate surrounding one of the most popular superstars in the WWE today: Zack Ryder! Gone are the days where Z! 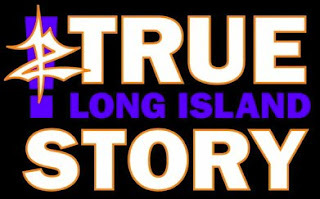 TLIS was a show that was a desperate attempt for Zack Ryder to get noticed. It was comical, and had new people and material every week. Now, I sit here wondering if Ryder should end the ever popular webshow, Z! TLIS. What the show is mainly used for today, is to continue the storyline that Ryder is using on WWE TV. It was a great match that had storyline, and great participants that made it the final factor in my choice. The teams were mostly even, as the up and coming mid-carder at the time, Kofi Kingston, was taking on one of the top main-eventers, Randy Orton. It was a huge win for Kofi (or so it seemed), as he pinned CM Punk and Randy Orton, as they were the sole survivors for their team. Team Kingston was made up of Christian, MVP, R-Truth, and Mark Henry, and Team Orton was made up of CM Punk, William Regal, Cody Rhodes, and Ted DiBiase. Kofi was on the rise, getting on Orton's nerves like no one has done before. It seemed this was Kofi's time, and the WWE proved that by giving him the huge win here. In the end, Kofi is still in the mid-card, but it was still a match with huge implications at the time. It not only surrounded this rivalry, but other ones like CM Punk and R-Truth. 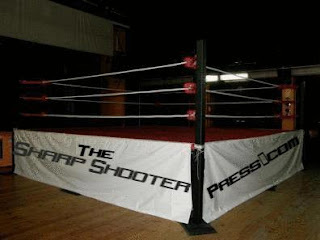 Welcome Sharp Shooter Press readers, this is my first article here at the website. As you might have guessed, I am a life long wrestling fan. I have been ever since I accidentally turned to a channel with wrestling when I was about five years old. My taste in wrestling has changed as dramatically in some instances as much as it has stayed the same. I will be going into greater detail with my wrestling preferences during my upcoming radio show under my "Smooth Gentleman" tag in the near future. All of these phrases and choice words can all be used to properly summarize who Brodus Clay is and what he represents. At almost seven feet tall and weighing in at approximately four hundred pounds, Clay is a dominant force that will look to reignite his path of destruction on the WWE Universe, starting on November 7th, 2011. 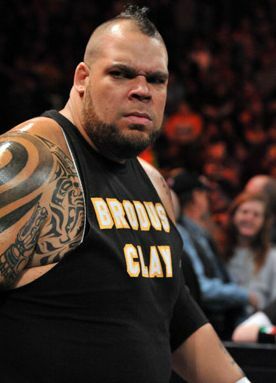 Initially debuting in WWE on NXT: Season 4, Brodus Clay was a standout performer amongst the cast of "Rookies" that also partook in the competition. Although falling short of victory in the season to New England native, Johnny Curtis, Clay vowed his vengeance on all the fans that shattered his dreams of being the next breakout star. As for Johnny Curtis, he fell into the dark, melancholy, shadows of obscurity. Clay, on the other hand, accompanied star on the rise, Alberto Del Rio not too far after the climax of the fourth season of NXT. Clay's massive and intimidating presence aided Alberto Del Rio, who was on his path to WrestleMania 27 in pursuit of the World Heavyweight Championship. John Cena is "Superman" as we call him. He always wins. Cena never quits. He always comes out on top. That's not true, as Cena does in fact lose...except for one PPV event. Survivor Series. So, yes, John Cena is a "superman" when it comes to wrestling at Survivor Series. Cena has been wrestling at the Survivor Series PPV since 2003. Fast forward to 2011, as he and the Rock take on the Miz and R-Truth in Madison Square Garden. Survivor Series is a historic PPV, and the name "John Cena" may not likely be associated with it. Cena has been a sole survivor 3 times, and won/retained titles 3 times as well, for a stunning 6-0 record! That right there should prove my case, but lets take a look and breakdown each of his performances through the years. As previously announced last month, the Sharp Shooter Press will be instituting the newest revolution of diverse insight and well thought out contributions through the Sharp Shooter Press, Professional Wrestling End of the Year Awards. What makes these awards special are the gathering of some of the smartest minds in the Internet Wrestling Community, who have been working very in order to determine the most accurate Pro Wrestling End of the Year awards of all. Call this our, PWI 500 or our marquee feature. Again, our Pro Wrestling Awards is very unique. Opposed to the status quo of undeserving names winning awards solely due to working in a big time wrestling organization. Myself and the awards committee has been scouting the entire year of Professional Wrestling throughout every organization in the United States possible. From January to December, each organization will be consistently evaluated and examined for the best and most deserving men and women for awards.